Today's Prompt: Dear 16-year-old-me. Write a letter to yourself at age 16. What would you tell yourself? What would you make your younger self aware of? I did a version of this prompt - a letter to my 18 year old self - in November 2011 for #NHBPM (National Health Blog Post Month). But I was in a different place at 16 than at 18. At 18, as a high school senior heading off to college, I had different priorities. So let's rewind two more years. 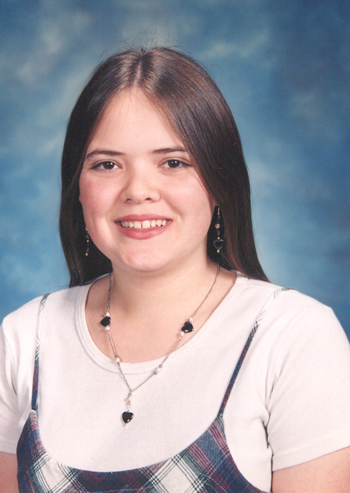 Let's look at Melissa, age 16. You don't think about diabetes all that much this year. You're busy being a teenager - an obedient and studious one - but not above the drama of friendships and relationships. Your A1c values this year will clock in at 9.1, 10.5, 9.7, and 9.7, which means that your average blood sugar for the whole year falls between 250 and 300. The average. Yeah. But no one explains to you and your family what this means. No nurse educator adjusts your dosages, no endocrinologist maps out the steps needed to bring it down, no online community exists yet from which to seek input. 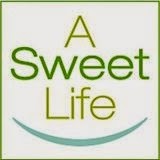 You just test your blood sugar four times a day, take your shots, and feel meh. It's not bad, it's not great. It's just life. Meh. You exist in a dichotomy of happy days and troubling nights, frequent lows and damaging highs. Your school days consist of choir camaraderie, GT classes, and lots of happy silliness. You're ranked first in your class and you adore your teachers. Your evenings involve fighting with your hostile boyfriend. Constantly. Ceaselessly. The high blood sugars don't help. You lash out and deal with a lot of rage from the stress hormones that spike when you're high. One afternoon, during the last class of the day, your blood sugar is dangerously high. You are running ketones. You're so thirsty. "I want a huge glass of water," you tell Alta, and leave the classroom when the Algebra teacher has her back turned. Across the hall, on top of the water fountain, sits a huge, pristine styrofoam cup. Seconds later, you slip back into your desk with the cup of water and your friend shakes her head. "How did you do that?" I don't know how you did it. But I see it now as just another way that diabetes let you slide by below the radar. You didn't test. You didn't take insulin. (In the 90s, we corrected highs only at mealtimes.) You didn't make a big deal to anyone about how sick you felt. You just accepted that diabetes meant that sometimes you were so thirsty that you could chug a swimming pool. You and your family don't know yet to question why your blood sugars are volatile and unhealthy. That's just part of having diabetes. Any sense of a family dinner finally fizzles out this year. Every meal is fast food and eating out every night sees you put on a good 25 lbs in this one year. The high fat meals contribute to the sustained highs. I'm not sure you know that yet though. You're just starting to count carbs in 1996, moving away from the old exchange system, and the ADA just announced that sugar is no worse than any other carb. Unlike other 16 year olds, you won't be getting your license this year. Your mom will offer up some good reasons (we can't afford driver's ed), some ridiculous ones (you shouldn't learn to drive before your boyfriend), and a very important secret one that she will keep hidden until you are in your thirties. She worries about you driving with diabetes. Oh, Melissa, I don't mean to paint this year with such a dark and heavy brush. I remember lots of fun and love and many successes. But you still have so far to go. Marigolds to measure. The next sixteen years will see you graduate with two degrees, marry, travel, have babies. You will find your voice. You will learn to manage the quiet intruder that wreaks havoc on you. The woodpecker that pokes holes in your fingers and thighs and spirit. You will prove to be made of stronger stuff than wood though. You remember a lot about when you were 16. Sometimes I feel like I lived life in a fog. Remembering bits and pieces and not really remembering where they all fit.